Harley “Harls” Rayne is just an average girl in an average town in an average family, except for the fact that her parents favor her younger daughter Lorelei. This favoritism spurs Harley to run off with the bad boy biker to become his bike b***h (aka the person who rides behind him on his Harley). But Frank isn’t all that she thought he was and his violent behavior and a culminating incident becomes the final straw for her to steal his bike and run away again. She thinks she’s safe with her new life and new job and new friends, until it all comes crashing down around her once more. I went through a sequence of liking and disliking this book. At first I loved it, there was tension from the very first page and the characters were very real. The story was alive from paragraph one and the inciting incident went off without a hitch. Harley turned her life upside down. Then I started to get bogged down in grammatical errors and the gruesome violence that the author described. I was not prepared for the horrific violence, but kudos to the author for bringing out such a strong emotional reaction in me, it is a telltale sign of a good writer, just not what I was expecting in a paranormal young adult story. I was further disgusted by the behavior of Frank and the relationship between Harley and Frank. It was an abusive relationship described in a way to make my toes curl and my hair stand on end, but was interlaced with these extremely steamy descriptions. Graham was putting me through emotional loops, with ups and downs and extremes in between. Be warned fair readers of the violence, abuse, and foul language in this book. Graham depicts the not-so-nice aspects of relationships and the gruesome results of foul play, but she does it in a hypnotizing way that makes you turn the pages with shaking fingers. I despised Frank so much he made my stomach curdle. He is cold-blooded and cold-shoulders and the definition of the opposite of a gentleman. But he has a soft spot for Harley and it’s hard to hate him too much because he has that undeniably redeeming quality of wanting to protect her (from everybody but himself at least). He is domineering and possessive with a pack-like animalistic quality. He is raw and as Harley sees him: extremely and ruggedly attractive. Harley is also a hard character to like. She put herself into the bad situation. Don’t girls know that the bad boys are usually bad news? Her most redeeming moments are when she is being protective of her best friend Liz. Harley surprised me with her gumption and ability to leave the situation when it crossed the line. When at first I didn’t like her because she couldn’t take action and kept staying in the abusive relationship, she showed her true strength when she up and left and started over with a confidence not many women would have after her experiences. This book pushes the boundaries of paranormal with its down to earth grittiness and would appeal to those who enjoy a gritty paranormal story with violence, werewolves, or a female protagonist. 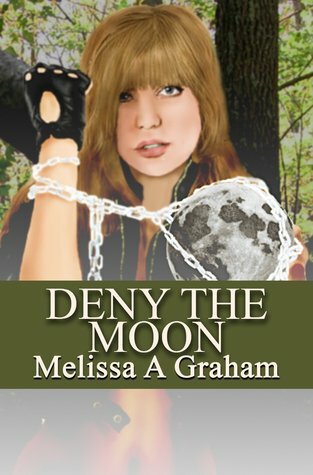 This novel was published by Melissa A. Graham November 28th, 2014 and is available on Amazon here.